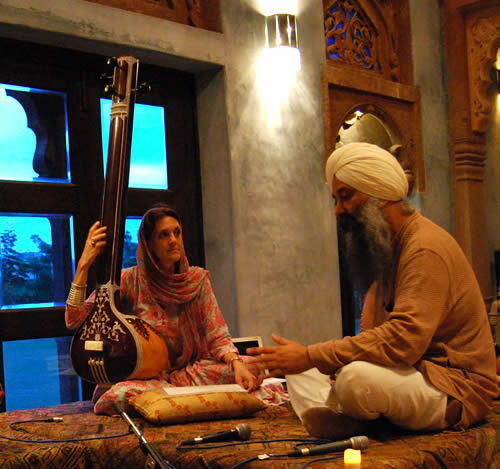 In 1994, during my fieldwork on dhrupad, I was introduced to Gurbānī kīrtan by Bhai Baldeep Singh, whose repertoire includes masterpieces that were originally composed by the Sikh Gurūs and the Bhagats. My initial interest, in fact, was in the Gurbani dhrupad compositions as they were transmitted from the Sikh Gurūs’ era (15th- 18th centuries) to the present time within the lineage of the Hazoori rāgīs Bhai Avtar Singh and Bhai Gurcharan Singh (Bhai Baldeep’s great grand uncles), from whom I also had the privilege to learn. Following a contemporary methodology of research, I have combined both the theoretical and practical approaches to the study of the Sikh Gurus’ musical tradition. Along with the study of the Sikh hymns and their exegesis, over the years I have undertaken a professional training in the vocal repertoire (shabad kirtan) as well as in the rhythmic percussion tradition of pakhawaj, under the guidance of Bhai Baldeep Singh. Although nowadays I have the privilege to perform kirtans in Gurdwaras in India and abroad, the initial goal of learning was to gain a firsthand understanding of the repertoire. As Mantle Hood affirmed: “the training of ears, eyes, hands and voice and fluency gained in these skills assures a real comprehension of theoretical studies, which in turns prepare the way for the professional activities of the performer, the composer, the musicologist and the music educator” (Hood, The challenge of Bi-musicality. In Ethnomusicology 4/2:55). My work focuses on the analysis Gurbani Sangeet as a distinctive genre of Indian music, and my bi-musicality (education in Western and Indian traditions) enables me to study the Sikh repertoire from both perspectives, with a multidisciplinary approach that incorporates musicology with semiology and anthropology. 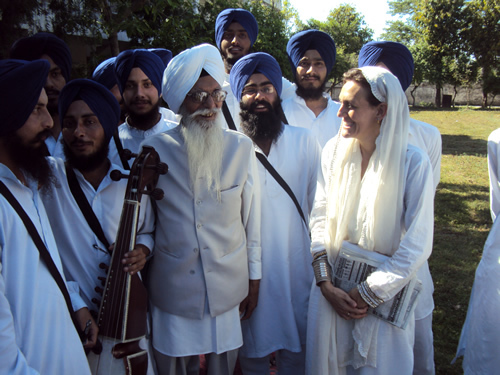 I have been carrying out my fieldwork among the Sikh communities in northern India and abroad, extensively working on musical pedagogy, musical genres in past and contemporary Gurbani tradition, analysis of Asa di Var and its performance, and gender studies in relation to the kirtan performance. In Fall 2011, I was appointed to the Associate Professor and Chair in Sikh Musicology at Hofstra University, New York. 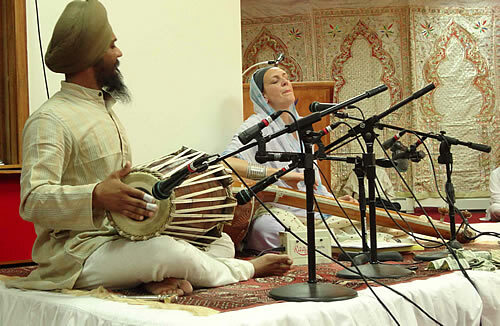 Sikh musicology is a new field of study that combines research on Sikh tradition with the analysis of Gurmat Sangeet, the musical repertoire transmitted by the Sikh Masters. The purpose of the Sardarni Harbans Kaur Chair is to place Gurmat Sangeet in the field of international musicology, analyzing all its aspects through contemporary methodologies of research and analysis. This innovative approach will not only facilitate the understanding of Gurmat Sangeet among Western students and scholars, but will cast a light on the contribution of the Sikh Masters to Indian music and culture. 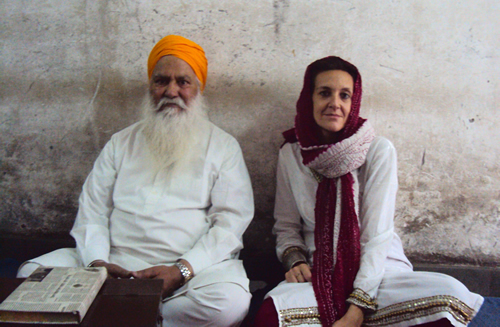 Here, some pictures of precious memories of my fieldwork research, kirtan and teaching. 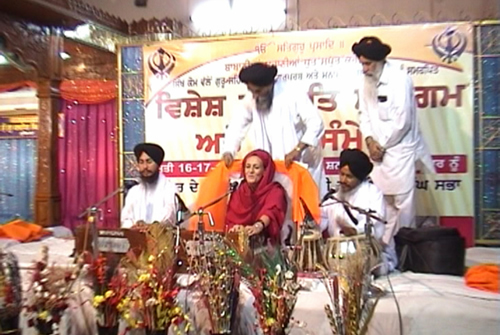 Picture 5 – Dr. Francesca Cassio performing a kirtan in Ludhiana accompanied by Bhai Karnail Singh and Bhai Lakhwinder Singh. Here (at the back) the Hazoori Ragi Bhai Randhir Singh from the Sri Darbar Saheb is felicitating Dr. Cassio for the performance. 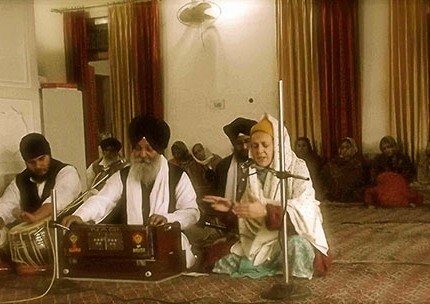 Picture 6 – Dr. Francesca Cassio performing a kirtan at the Gurdwara Baba Atal Saheb (Golden Temple complex, Amritsar) accompanied by the Hazoori Ragi Bhai Sant Narinder Singh and his jatha. Picture 7 Dr. Francesca Cassio during a lecture at the Bhai Vir Singh Gurmat Vidyalay, Amritsar. Picture 8 Dr. Francesca Cassio performing a kirtan at the Glen Cove Gurdwara (New York) accompanied by Parminder Singh Bhamra on pakhawaj, Vaisakhi 2012. 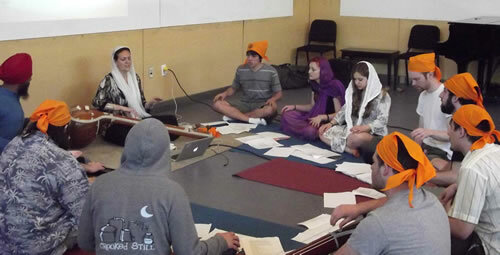 Picture 9 Dr. Cassio teaching a class of Sikh Musicology at Hofstra University (New York), Spring 2012. 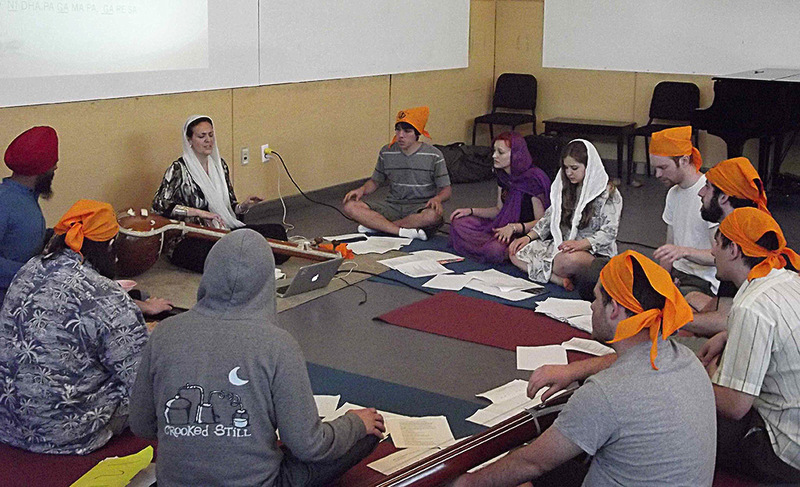 Picture 10 Dr. Francesca Cassio teaching a class at Anad Conservatory in Sultanpur Lodhi (Punjab, India), Summer 2012. Pic 12: Dr. Cassio at Vaisakhi Festival 2015, Rome (Italy). Dr. Cassio during an interview with the Hazoori Ragi Bhai Hari Singh (Amritsar, August 2015). CASSIO FRANCESCA, Percorsi della voce. Storia e tecniche esecutive del canto dhrupad nella musica classica dell’India del Nord, Bologna, Ut Orpheus edizioni,2000. CASSIO FRANCESCA, Female performers in Gurbani Sangeet. Hofstra Conference, in preparation, Oct 2012. 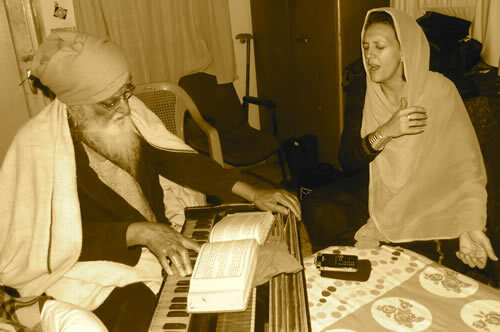 Picture 7 – Dr. Francesca Cassio performing a kirtan at the Gurdwara Baba Atal Saheb (Golden Temple complex, Amritsar) accompanied by the Hazoori Ragi Bhai Sant Narinder Singh and his jatha. 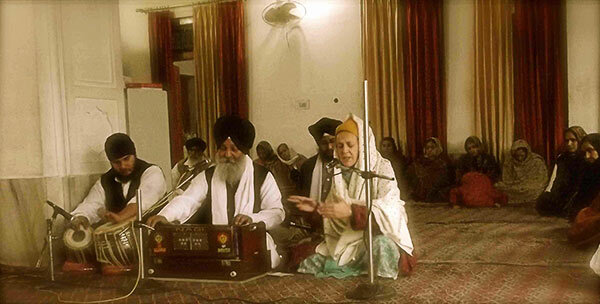 Picture 8 – Dr. Francesca Cassio during a lecture at the Bhai Vir Singh Gurmat Vidyalay, Amritsar. 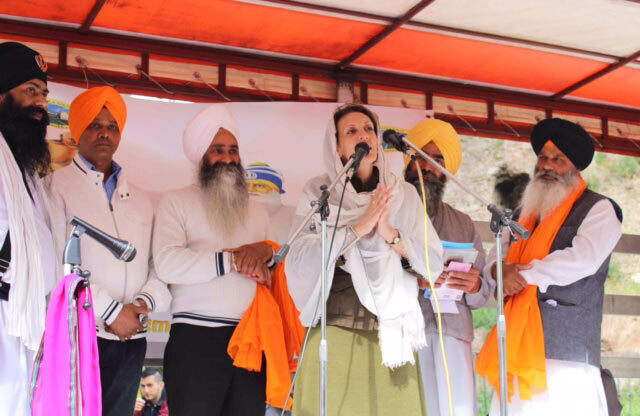 Picture 12 – Dr. Cassio at Vaisakhi Festival 2015, Rome (Italy). 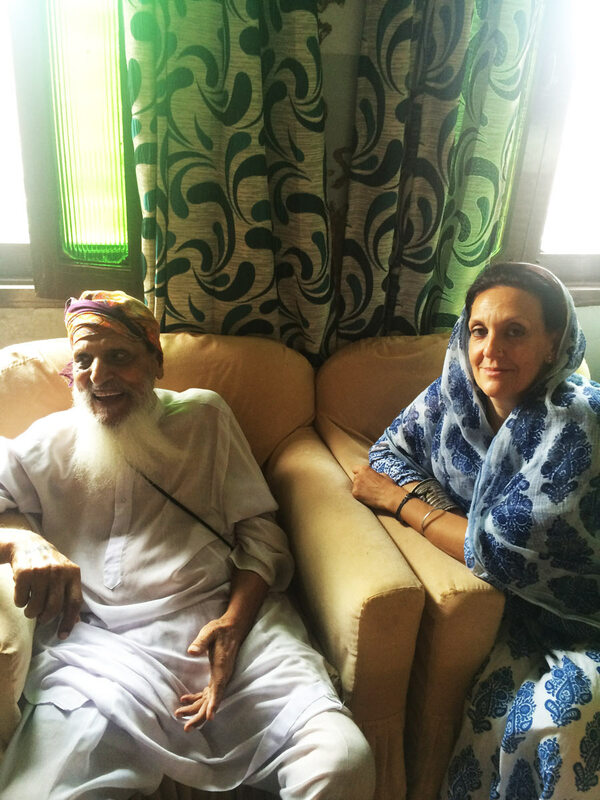 Picture 13 – Dr. Cassio during an interview with the Hazoori Ragi Bhai Hari Singh (Amritsar, August 2015).